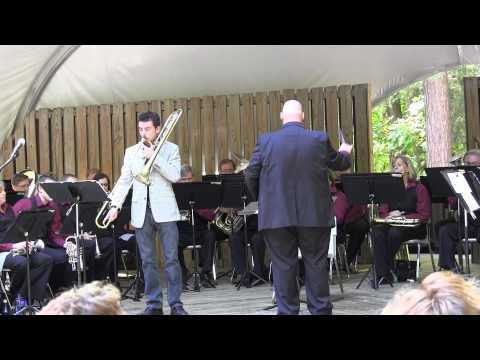 Jonathan Randazzo was appointed Assistant Principal Trombonist of the North Carolina Symphony in January 2010. At the same time, he was studying with Norman Bolter and pursuing a Bachelor of Music at the New England Conservatory of Music, where he graduated in May 2011. Jonathan’s other teachers have included Joseph Alessi of the New York Philharmonic, James Markey of the Boston Symphony, and Willard Sprague, a local pedagogue on Long Island. Jonathan attended the Juilliard School pre-college division program while in high school. Jonathan currently teaches private instruction in the Raleigh area. In January 2012, he was a guest artist at the North Carolina School of the Arts, where he gave a masterclass on audition preparation. Jonathan has also given masterclasses at the Half Hollow Hills School District in New York. During his four years of study at the New England Conservatory, Jonathan freelanced with many of the local orchestras and often performed solo and chamber recitals. He has performed with the Pacific Music Festival in Japan, the National Orchestral Institute in College Park, Maryland and the Colorado College Summer Music Festival.